When a 1972 Chevy El Camino SS was listed for sale it was a shoe-in to be this Saturday’s DEAL of the DAY. 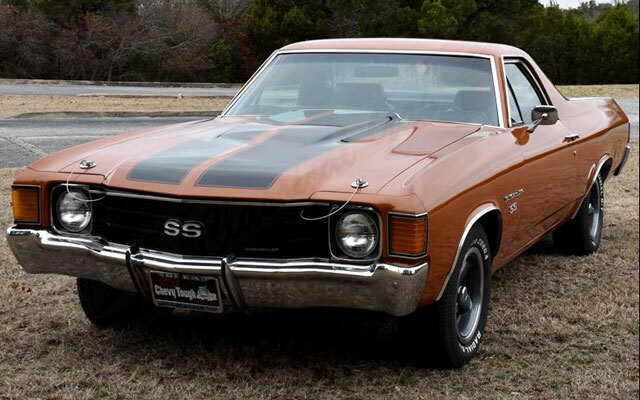 Avearge pricing on classic Super Sport El Caminos tops $30,000 in today’s collector car market. This one was priced at much less. The Chevelle front end look on this 1972 Chevl El Camino SS makes it one of the most popular designs of the muscle car era. It is being sold through Classical Gas Motors in Texas. (Click this link to review their ad page.) With a solid and rust-free body, the paint has some minor imperections, but presents well in its orignal Code 63 Mohave Gold metallic paint. They tell us it comes with a partial build sheet identifying that it came from the factory with Super Sport tires. 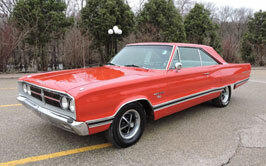 It does not have the 396 big block, but comes with a 400 ci V8 engine. The car was factory ordered with air conditioning, and a new original style compressor was just installed. With all that it will be our DEAL of the DAY next week. The asking price is just $23,500. It is indicative of what is trending in the collector car market these days. We are seeing some cars showing up with prices at a deep discount to the market. As prices trend downward, we’ll be showing you some of the best bargains here in the DEAL of the DAY preview. It gives you first shot at all the cars that will be highlighted in the DEAL of the DAY feature on the Cars On Line home page. Here is a preview of all of this coming week’s DEALs of the DAY as they were published in the most recent Cars-On-Line.com newsletter.